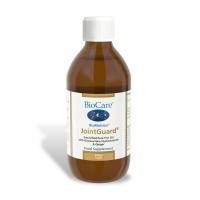 Osteoarthritis and other joint' muscle and bone issues are common and surgical procedures highly successful these days. 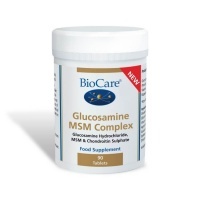 However, health supplements such as glucosamine, chondroitin, MSM can be of great benefit. 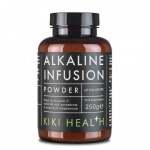 There are a variety of supplements available and all have been chosen not just for the purpose they are designed but also for the quality of raw ingredients and manufacturing process, which are so important for maximum effectiveness. 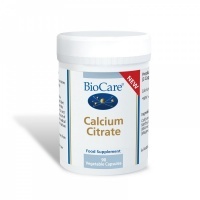 Calcium Citrate is a highly bio-available calcium which is needed for healthy bones and teeth, normal blood clotting and function of muscles. Dairy free. EAP Complex (Magnesium EAP Complex) is a phospholipid complex providing ethanolamine phosphate buffered with magnesium. 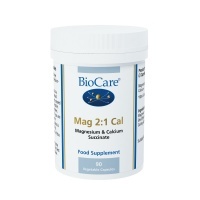 BioCare Mag 2:1 Cal is bonded to succinic acid to aid cardiovascular, nerve, muscle and skeletal structure and blood health. 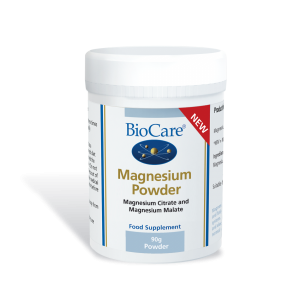 Magnesium helps normal muscle function and maintenance of normal bones and teeth and contributes to normal energy metabolism. 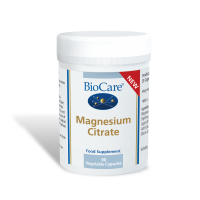 A complex of magnesium citrate and magnesium malate, for everyday use. 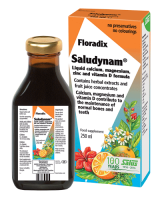 In a pleasant tasting, easily absorbed powder formula. 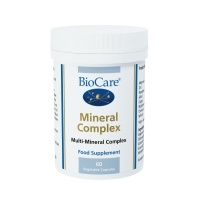 Eight minerals to support bone health, energy production, red blood cell formation, immunity & metabolism. This powerful protein digestive enzyme, from Pineapple, breaks down protein and helps maintain healthy cardiovascular & immune systems. 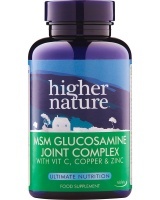 Higher Nature MSM Crystals helps maintain healthy, flexible joints & is important for normal bone, cartilage & connective tissue formation. Also available in tablets. 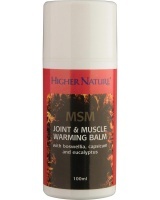 Higher Nature MSM Joint & Muscle Warming Balm, vitamins & herbs formulated to help ease tired, stiff muscles & joints. Higher Nature Pantothenic acid healthy supplement, or Vitamin B5, is important for releasing energy from food & supporting the health of the bones, skin, hair & nails. Higher Nature Sea Calcium provides a naturally calcium-rich sea plant with over 30% natural Calcium, Magnesium & a spectrum of trace minerals. 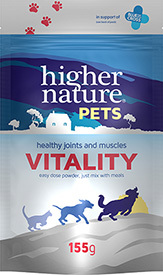 Higher Nature Super OsteoFood (size 90) - a full spectrum of nutrients for bone strength. Higher Nature True Food Calcium & Magnesium provides equal amounts of Calcium & Magnesium, from highly bio-available True Food® ingredients. 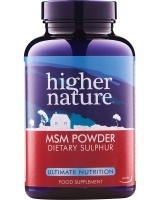 Higher Nature True Food Magnesium helps relaxed muscle function & a healthy nervous system, helping you to wind down at night. Also for strong bones & teeth. Higher Nature Vitamin D3 is the most bio-available form of Vitamin D.
Beneficial effects for the health, function and appearance of the skin, teeth and bones. 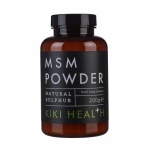 MSM is often used as a purification step. 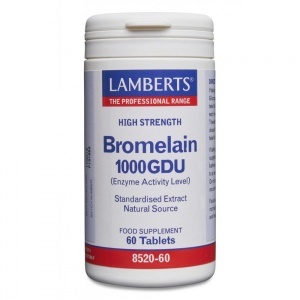 Lamberts Bromelain is used to aid digestion of fatty or high-protein meals. 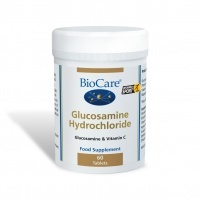 For sports people with sprains and strains. 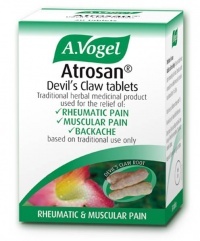 Inhibits inflammation and pain. 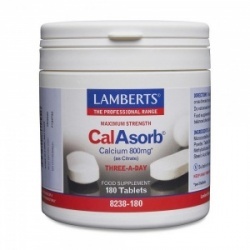 Lamberts CalAsorb supplies Calcium in citrate form for superior absorption, with three tablets providing a full 800mg of Calcium: the recommended daily allowance.